Asia Hardware Battle final goes to Fifish P4! The winner of Asia Hardware Battle in 2017 was underwater drone Fifish P4 developed by a female CEO who is passionate about diving. 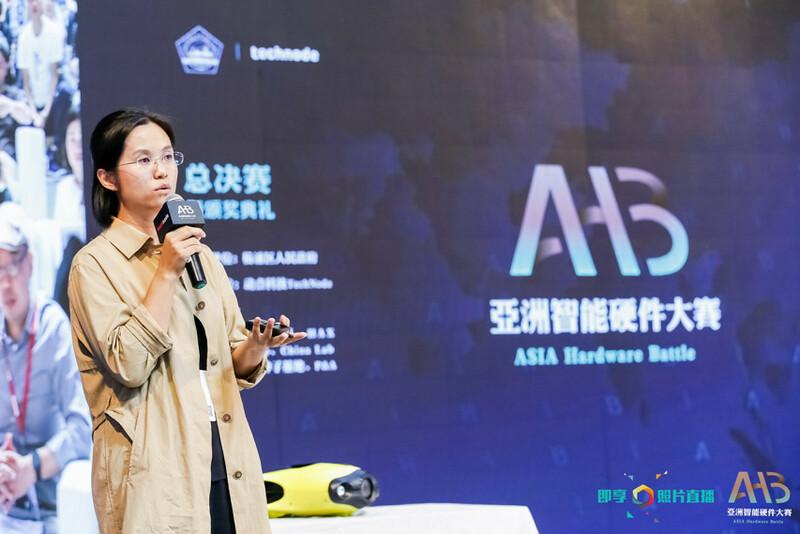 Asia Hardware Battle was held in Shanghai on September 16th hosted by TechNode, with Shanghai Yangpu District People’s Government support. In previous Asia Hardware Battle held in Chengdu, we had 10 finalists, but this time, more than 300 hardware teams from ten cities in eight countries applied for the competition, namely Beijing, Shanghai, and Shenzhen in mainland China, Hong Kong and Taiwan and overseas countries, including South Korea, Japan, Singapore, and Thailand. This year’s battle had a total of 15 finalist teams on the stage, attended by leading domestic venture capital, media, and domestic and foreign guests. “I enjoyed a lot yesterday. Good point is that the final startups were very international. When judges chose the winners, the three winners and close runner-ups are all coming from different regions, I thought it was very interesting,” Nobuaki Kitagawa, managing director of CyberAgent Ventures told TechNode. “Overall, the startups were solving very practical problems. Some of them could be commercialized in the near future, and I felt that the overall technology of startup was developing towards IoT and big data. Chinese startups were concentrated in bigger scale fields such as logistics and VR, while Korean startups concentrated on niche areas such as beauty and environment. I thought that three Korean startups were excellent in terms of skill, detail, and design even though they were not included in the rankings,” Woody Han, CEO of China Lab, a Korean media focused on China market told TechNode. 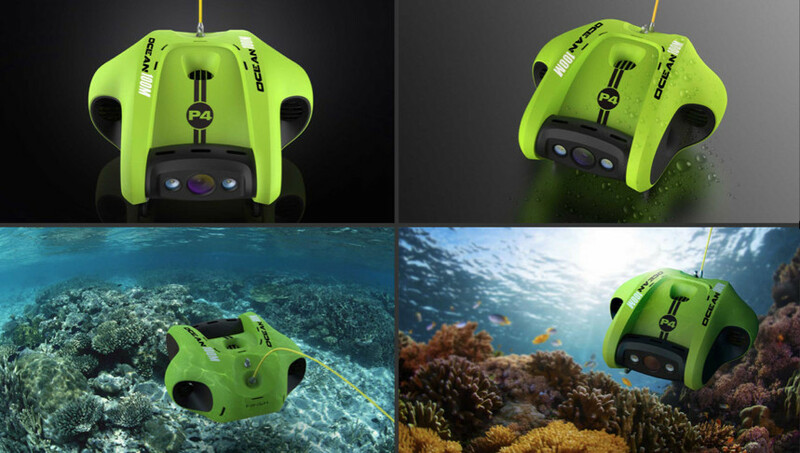 Fifish P4 allows divers to take photos and videos easily under the sea. Users can see real-time video shot by the machine underwater, let it automatically follow the diver or remote control it to go anywhere. The most unique feature of Fifish P4 is that it can support both wired and wireless control. The machine has integrated with high precision depth sensor and posture sensor, with a single click of a button, the machine can hover at any depth and location with high precision and great stability. Also, it has a few interfaces where people can easily attach multiple sensors to expand the machines’ functionality. CEO of Fifish, Zhang Chong who is also a PADI (Professional Association of Diving Instructors), claims that the camera has advantage comparing with other underwater robots in the current market. The professional camera is designed with an ultra-wide-angle of 162 FOV, 4K high-definition video, and 20MP, combining lighting with 4000 lumens, which guarantees stable footage. The team won CES innovation award in 2017. Youibot is an autonomous inspection mobile robot equipped with indoor and outdoor robot navigation system to ensure safety. The company has researched and developed autonomous mobile robot platform independently, based on the latest generation of laser radar and visual real-time SLAM map creation and navigation technology. CEO of Youibot, Zhang Zhaohui says its bus tire inspection robot can achieve high-frequency night patrol inspection. Using self-positioning navigation in parking lots, it can identify vehicles, do the autonomous inspection, and report problematic vehicles. The robot meets the inspection requirements through collaboration robotic arm with 6 DOF and free expansion module. Through the intelligent background monitoring system, the robot can also generate monitoring report with image analysis. According to WHO, Cardiovascular diseases (CVDs) are the number 1 cause of death globally, representing 31% of all global deaths. Of these deaths, an estimated 7.4 million were due to coronary heart disease and 6.7 million were due to stroke. 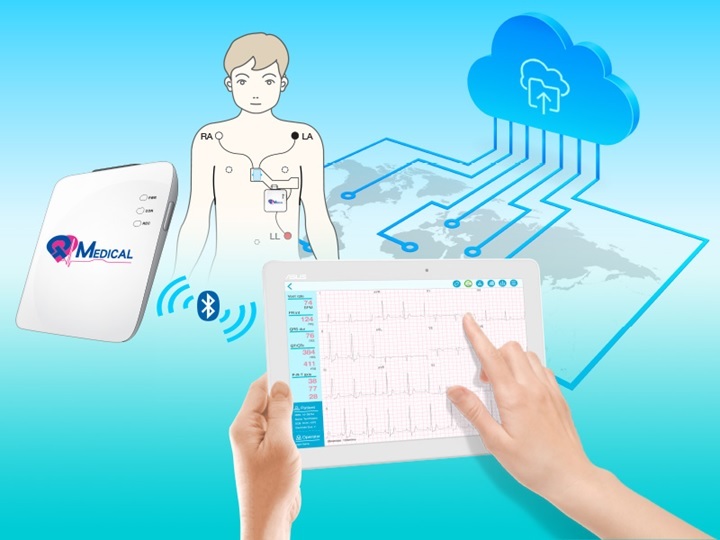 For better cardiac care and remote monitoring of elderly people and patients with chronicle heart disease, QT Medical is developing medical grade 12-lead electrocardiogram (ECG) devices and services for home use. Dedicated to making 12-lead ECG available to everyone at anytime and anywhere, the team will be launching three products in 2018: QT ECG, QT Pro, and QT Mini. QT ECG is compact 12-lead ECG for patients to use at home. QT Pro is 12-lead ECG for hospital use. QT Mini is medical grade wearable ECG for the consumer market. Founded in 2013, the team has 16 employees in Taiwan and LA offices, led by founder Dr. Chang, a cardiologist and professor at UCLA. Renogy / Suzhou, China: RENOGY develops solar energy products, including solar panels, solar kits for home use. Pium / South Korea: Pium is a smart scent diffuser providing aromatherapy allowing its user to sleep, rest, and concentrate better. It follows user’s daily routine and automatically provides appropriate scents. Artificial Anything / Thailand: Rinn is a smart cup that tells you how much water you drank during the day. Nature / Japan: Nature’s Remo is a smart controller for room air conditioners and automates wall mount AC use for to save energy and reduce electricity bills. uHoo / Hong Kong: uHoo’s indoor air toxin sensor monitors building’s temperature, OM2.5, TVOCS, analyze them, and gives personalized insights. Clef Technologies / Singapore: Clef Technologies have built the device that detects water leaks. The founder claims that it ensures 98% accuracy and is easy to install, and avoids contamination. Zhen Robotics (真机智能) / Beijing, China: Zhen Robotics makes robots that deliver parcels. The robot can run 8 hours after charging 4 hours. Aira Lab / Malaysia: Aira Lab allows robots to connect through a platform where users can program it on the go, control it through apps, and able to share it with others. Line Dock / Shenzhen, China: Line Dock provides up to 100W of USB-C charging on the go while adapting its power supply to user’s device. Shado / Singapore: SHADO builds Autonomous Fleet Own Vehicles to solve the inefficiency of Freights and Logistical sector for both Sea & Airports. Lululab / South Korea: Lumini is a personalized beauty IoT device that analyzes the user’s skin and recommends the best skin products and services for each user. Ecubelabs / South Korea: Ecube Labs provides a solar-powered trash bin ‘Clean Cube’ that compresses trash and holds up to eight times more trash than ordinary bins do, which reduces the operating cost of trash collection vehicles.